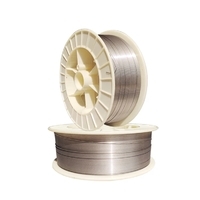 Nitinol wire is a metal alloy, sometimes also called Shape Memory Alloy (SMA) wire. Nitinol is an example of a "smart" material that undergoes changes between two solid phases, called the austenite and martensite phases, that involve rearrangement of its atoms within its crystal lattice. Nitinol is unusual in that it "remembers" its shape because the its crystal structure arrangement is not changed during a phase change. Our Nitinol wire products can be produced to engineered mechanical properties designed for your end use and manufacturing processes. Nitinol is a nickel-titanium alloy distinguished from other materials by its shape memory and superelastic characteristics. 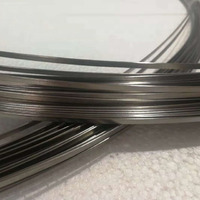 Nitinol wire is the most mature form of this unique superelastic and shape memory alloy, It is available in many different sizes, alloys and finishes. And, shape memory and superelastic forms are both offered. Niti shape memory alloys are gaining increasing use in the medical device industry for Nitinol catheter stents, guidewires and other critical applications. The term Shape Memory Alloys (SMA) is applied to a group of metallic materials that demonstrate the ability to return to some previously defined shape or size when subjected to the appropriate thermal procedure. Generally, these materials can be plastically deformed at some relatively low temperature, and upon exposure to some higher temperature they will return to their shape prior to the deformation. 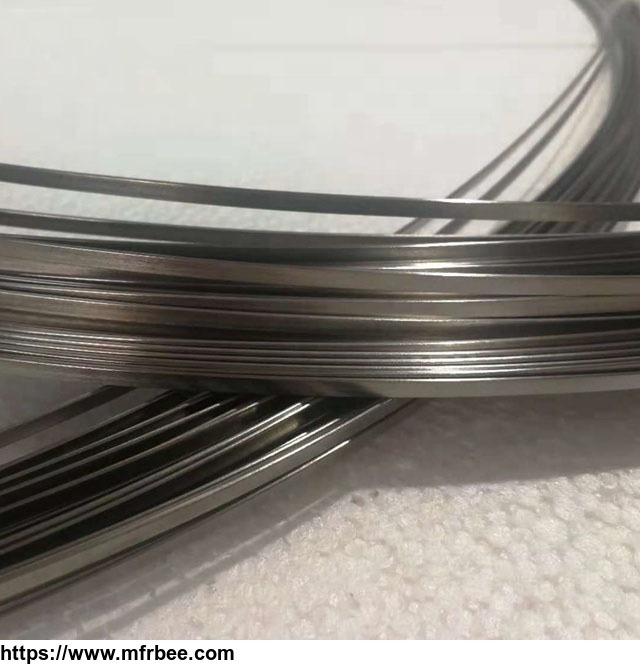 Nitinol currently finds use in antennas, flexible eyeglasses, orthodontic braces, aerospace release mechanisms, medical devices like stents and endoscopic guide wires, greenhouse window openers, hot water scald-prevention valves, magicians tricks and many more. Allotech's nitinol wire supports the most complex of component designs requiring intricate geometric shapes. 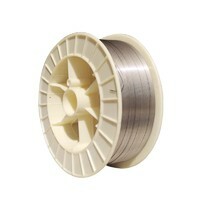 By fine-tuning the wire's chemical composition and thermal processing, Allotech has achieved wire with the flexibility and kink-resistance central to medical device applications, including stents, catheters, endodontic files, needles, trocars, mandrels, baskets, surgical instruments, snares and guidewires. 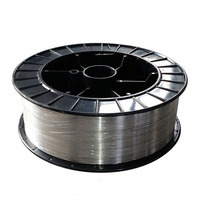 Nitinol wire has also been useful in industrial applications, such as couplings, actuators, sealing high-pressure fuel passages, and in commercial applications such as cellphone antennae and eyeglass frames. Clients specify their desired operating temperature, and how the material should behave, and how Allotech should adjust the composition accordingly. Nitinol, like other materials, has limitations. If a helix of wire is stretched too much, it will be permanently damages. If it is subjected to too great a force during thermal shape-memory recovery, it will lose its shape-memory. Specifically, if Nitinol is subjected to a cycle in which it is cooled, elongated by stretching, and heated without being allowed to contract (e.g., held at a constant length) the ability to do work will diminish in just a few cycles. 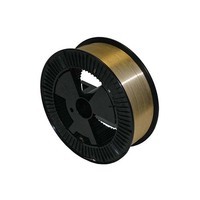 If, on the other hand, the sample (e.g., a Nitinol wire in tension) is allowed to contract against a constant force during heating, the ability of the wire to do work may be enhanced with cycling, and the wire will quickly stabilize so that succeeding cycles are repeated. At Allotech, all incoming Nitinol raw materials are inspected to ensure they meet proprietary internal specifications for chemistry, ingot transformation temperature, material homogeneity, and microstructure. Optimized to promote an exceptionally smooth and uniform surface finish quality, all wire products utilize a proprietary single and multi crystalline diamond drawing die technology. After the correct super-elastic heat treatment, medical grade Nitinol will accommodate strain up to 8% without permanent kinking at body temperature. We provide nitinol wire in their "as drawn" condition for experimenters who wish to form and train their own shapes. 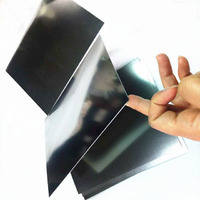 They must be "cooked" (formed and annealed) in order to exhibit their shape memory properties, and the many parameters of time, temperature and processing can give wide-ranging results. If your Nitinol product need falls outside of the standard medical grade material or the available product forms, please contact us. Our Nitinol application sales engineers will be glad to help.